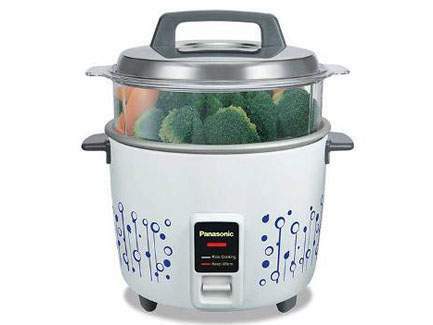 Panasonic’s SR-W18GS rice cooker will earn its spot in your kitchen. So you can rule the kitchen with this high performing, compact rice cooker. Combining the functions of various kitchen appliances into one, this rice cooker saves time while making things seem easier. The specially designed concave lid prevents mushy and soggy rice by preventing water condensation from flowing back into the cooked rice. The smart cap helps retaining the aroma of rice and also prevents cooking liquid from spilling over, and the moisture cap helps prevent boil over and maintains moisture after cooking for fluffier rice. With just the press of a button and your rice is cooked to perfection.